New York’s Kyle Abraham brought his refreshing contemporary choreography to Vancouver with a mixed bill of three works that all displayed his distinct subtlety based in deep human emotion. 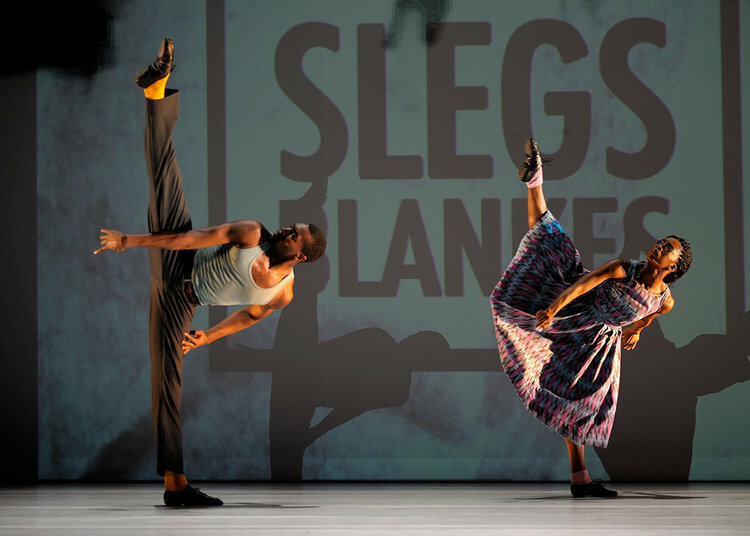 Fusing hip-hop, jazz, and modern dance styles, his work is distinct and impressive. First on the program was an excerpt from his upcoming premiere, Dearest Home. Tamisha Guy and Jeremy “Jae” Neal performed a beautiful, poignant duet in silence on a bare stage. Their pensive looks, pushing and pulling, and flirtatious manner told a complex story of love that was so clear while their movements were nuanced and riveting. In The Quiet Dance, a silent solo begins the piece as four more dancers join the stage and soothing piano music begins. The soloist remains off to one side, dancing in her own world as the other four dance in unison with slow, grounded movements. There are moments of slow motion, and moments that feel very pensive, all of these dancers infusing every step with deep emotion. The narrative wasn’t as clear as the opening duet, but it held our attention nonetheless and finished with a beautiful image of all the dancers slowing bending their knees with their arms raised, as if pleading for mercy or change. The Gettin’ was by far the most upbeat number of the evening set to lively jazz music and full of colourful ’50s style dresses and shirts. The content, however, was more sombre. 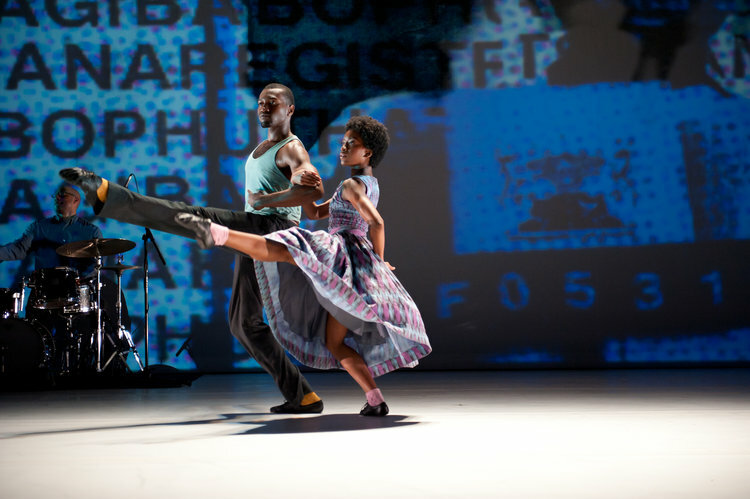 Projected on the back wall were signs of segregation reading “white area” or “whites only” and “non-whites only.” Old film footage set the tone as the dancers moved on and off stage in small groups performing a series of scenes in response to the projected film and images. Police violence was also addressed as they showed footage of Eric Garner’s death at the hands of police. The soulful, determined moves were flawless as the dancers strutted, glided, and soared around the stage. Tamisha Guy walks determinedly off stage as the others look on and the curtains close. The powerful piece seems to show progress that has been made while continuing to search for justice and equality.